Hide deals from seller "Clay Oven"
Limit 2 per person and 2 per table. Valid toward dinner menu items. Valid Monday-Thursday from 5-10 p.m. only. Dine-in or pickup only. Promotional value expires 60 days after purchase. 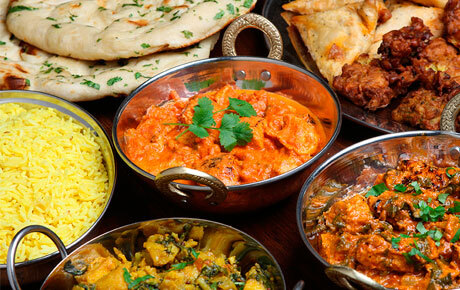 Sample the diverse flavors of India with 50% off dinner items at Clay Oven in Schaumburg ($20 value). An eclectic variety of authentic Indian cuisine will quell your hunger and satisfy adventurous taste buds. Owner Harish Kumar recently opened Clay Oven, building on more than five years of experience in the food industry. A medley of flavors awaits you with dishes like the chicken chilli masala or succulent lamb curry. Sample one of Chef Pamma’s specialties, like the chicken tikka masala, roasted chicken prepared with onion, tomato sauce and Indian spices, or the spicy chicken vindaloo. Treat your taste buds to an authentic Indian meal with this deal. An Indian restaurant in Schaumburg serving authentic cuisine.